In this Article we are going to cover the list of all the missions ISRO was involved in 2018. So if you are preparing for an exam OR if you want to know the information out of curiosity then check out this short article with all the important details of ISRO missions of 2018. Since its formation, ISRO has reached heights one can only imagine. Year 2018 proved to be the best year for ISRO. From completing a record 100 Spacecraft Missions to launching the heaviest satellite of India, ISRO became the best with every mission completed. In total, ISRO was involved in 8 missions this year. The list below gives you the important information about those missions. Launched from: First Launch Pad (FLP) of Satish Dhawan Space Centre (SDSC) SHAR, Sriharikota. Along with cartosat-2, 30 other co-passenger satellites were launched by PSLV-C40. These satellites includes 1 Micro satellite from India “Microsat” of 100 Kg class, 1 Nano satellite from India “INS-1C” of 11 Kg, and 28 other Micro and Nano satellites from 6 other countries(Canada, Finland, France, Republic of Korea, UK and USA). These 30 co-passenger satellites together weighed 613 Kg making the total weight lifted off by PSLV-C40 to 1323 Kg. Launched From: Second Launch Pad (SLP) in Satish Dhawan Space Centre SHAR, Sriharikota. GSLV-F08 is the 12th flight of Geosynchronous Satellite Launch Vehicle (GSLV) and Sixth flight with indigenous Cryogenic Stage. GSAT-6A is a high power S-band communication satellite configured around I-2K bus. 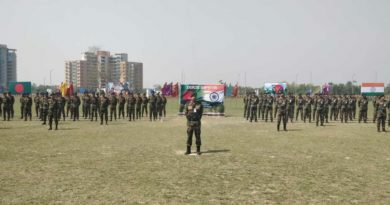 The satellite will provide a platform for developing technologies such as demonstration of 6 m S-Band Unfurlable Antenna, handheld ground terminals and network management techniques that could be useful in satellite based mobile communication applications. PSLV-C41 is the forty-third flight of the Indian Polar Satellite Launch Vehicle. IRNSS-1I is the eighth satellite to join the IRNSS space segment. Its predecessors, IRNSS-1A, 1B, 1C, 1D, 1E, 1F and 1G were launched by PSLV-C22, PSLV-C24, PSLV-C26, PSLV-C27, PSLV-C31, PSLV-C32 and PSLV-C33 in July 2013, April 2014, October 2014, March 2015, January 2016, March 2016 and April 2016 respectively. Launched From: First Launch Pad (FLP) of Satish Dhawan Space Centre (SDSC), SHAR, Sriharikota. This was the 44th flight of the PSLV. 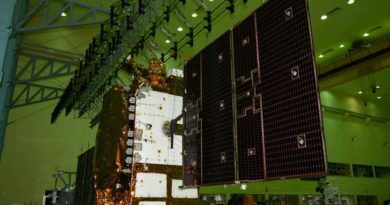 PSLV-C42 is dedicated commercial mission to launch NovaSAR and S1-4 from United Kingdom based M/s Surrey Satellite Technologies Limited (SSTL). NovaSAR is a S-Band Synthetic Aperture Radar satellite intended for forest mapping, land use & ice cover monitoring, flood & disaster monitoring. S1-4 is a high resolution Optical Earth Observation Satellite, used for surveying resources, environment monitoring, urban management and for the disaster monitoring. Launched From: Second Launch Pad (SLP) at Satish Dhawan Space Centre SHAR, Sriharikota. GSLV-Mk III is a three-stage vehicle. 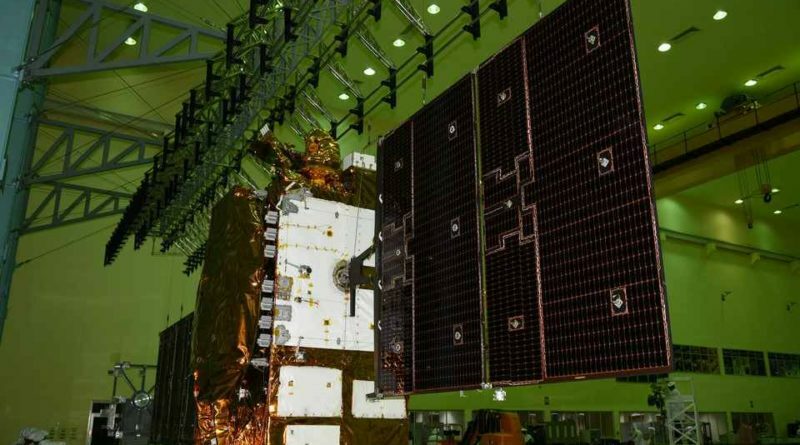 GSAT-29 is the heaviest satellite launched from India. GSAT-29 carries Ka/Ku-band high throughput communication transponders which will bridge the digital divide of users including those in Jammu & Kashmir and North Eastern regions of India. It also carries Q/V-band payload, configured for technology demonstration at higher frequency bands and Geo-stationary High Resolution Camera. carried onboard GSAT-29 spacecraft. An optical communication payload, for the first time, will be utilized for data transmission. Launched From: First Launch Pad (FLP) of Satish Dhawan Space Centre SHAR, Sriharikota. HysIS was launched with 30 international co-passenger satellites. HysIS is an earth observation satellite configured around ISRO’s Mini Satellite-2 (IMS-2) bus. The primary goal of HysIS is to study the earth’s surface in the visible, near infrared and shortwave infrared regions of the electromagnetic spectrum. The co-passengers of HysIS include 1 Micro and 29 Nano satellites from 8 different countries. 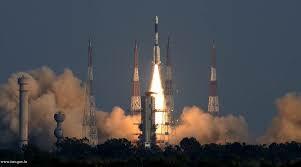 Launched From: Second Launch Pad (SLP) of Satish Dhawan Space Centre SHAR, Sriharikota. This is just the beginning of a new era. ISRO has more important plans for 2019. ISRO has announced India’s second mission to the Moon “Chnadrayaan-2” which is planned to be conducted in early 2019. Be ready to witness a proud moment for India.